How high are realtors' and lawyers' fees in Spain? What about other property purchase costs? How difficult is the property purchase process in Spain? Foreigners have a right to buy and resell all kinds of property - residential, commercial or land, with no limits. Acquiring property in Spain doesn't automatically give one the right to live permanently in the country if the buyer isn't an EU citizen, in the absence of a special agreement between the two states (Spain and the country of the buyer). But permission for permanent residence may be obtained by opening a bank account in a Spanish bank with not less than $150,000, and owning a business in Spain. On these conditions, a Spanish visa for the buyer and the members of his/her family is obtainable, which however doesn't give the right to work in the country. When both parties have agreed on a price, you must ask proof that the seller owns the property and that it is free of charges. As a buyer, you are advised to check the deeds in the Registro de la Propriedad (Property Registry) and to check for any outstanding mortgages. Remember that in Spain, debts are charged to the property and any outstanding mortgage will be passed on to the buyer. A Nota Simple will confirm this. When all is well, the parties are advised to sign a preliminary contract, a Contrato privado de compraventa. You are then requested to pay a 10% of the purchase price as deposit. The estate agent will hold these funds in a bonded client account. As a precaution, it would be wise to put your deposit into an escrow account, a blocked account where neither party can get at them until the sale is closed. If you intend to raise finance for the purchase, make sure that the sales agreement has an arres agreement (i.e. a 10% deposit) and a date specified for completion. However, it is possible to sign the contract without such a deposit and while technically you have the right to sue a seller who subsequently withdraws, with an arres agreement in place you are entitled to twice your deposit as compensation in the event that the seller decides to withdraw. You pay the balance of the purchase price and all fees when you and the seller have signed the Escritura de compraventa, the definitive contract equivalent to the Deeds of the property. If you are buying a new property, you do not own the property until the work is completed, and you are in receipt of relevant certificates. In Spain, the notary is a public official and is required to witness the deed of sale. But getting expert, independent legal advice in addition to the notary is recommended to protect your own interests. The notary prepares the official contracts and makes sure they comply with Spanish regulations. The notary enters the sale on the local property registers (Registrio de las Propriedad) to protect against third party claims. If there is common ownership, a Community of Owners must be established through which community charges can be shared. If your property is in an apartment block then the situation relating to the Horizontal Division should be clear, especially in new developments. The transaction is normally completed in about 12 days. House buyers of re-sale property (as opposed to brand new) are required to pay the Property transfer tax, which varies from 6% to 10% depending on the autonomous region. The property transfer tax rate is 6% in Madrid. The property transfer tax is paid at the relevant tax office. In cities where there are no specific tax office, payment is done at the Registry during the registration process. In Madrid and Andalucia, payment can be done online. Buyers of new residential properties must pay 10% Value Added Tax (VAT). Buyers of new houses must also pay stamp duty at varying rates, from 0.50% to 1.50%, depending on the autonomous region. The stamp duty rate is 1.50% in Madrid. Notary fees are around 0.03% to 0.45% of the property value. The notary fees for property worth over €601,012.10 depend on the agreement between the notary and the client. Registration fees are around 0.02% to 0.175% of the property value. Registration fees include land registry fees, and fee for public deeds. It is quite common in Spain to do private house sale because of the exorbitant fees charged by real estate agents, until quite recently. Real estate agent's fee is now around 2.5% to 3%. 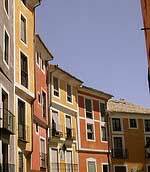 How landlord-friendly is the law in Spain?